THE renewable-fuel standard released in February by America’s Environmental Protection Agency (EPA) paints an ambitious picture of biofuels’ future. It wants the amount of the stuff used as transport fuel to climb from 13 billion gallons (49 billion litres) in 2010 to 36 billion gallons in 2022, requiring by far the largest part of that increase to come from various advanced biofuels, rather than ethanol made from corn (maize). But although the future looks exciting, the present is rather grim. The EPA has been forced to slash its 2010 mandate for the most widely touted of the non-corn biofuels, cellulosic ethanol, from 100m gallons to just 6.5m, less than a thousandth of the 11 billion gallons produced from corn in 2009. 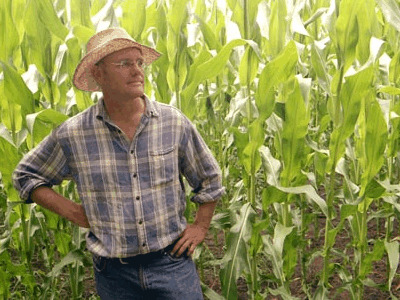 The fact that corn-ethanol production has continued to grow, despite the failure of a number of firms in late 2008 and early 2009, points to the efficacy of the various protections and subsidies it enjoys (falling maize prices helped too), though it says nothing about their efficiency or wisdom. Ethanol, which is used mainly as an additive to petrol, is not a particularly good fuel: it offers only about two-thirds as much energy as petrol and can corrode pipelines and car engines. By 2014 or earlier, ethanol production is expected to reach 10% of America’s total fuel demand, and thus to hit a “blend wall”, since the EPA does not at present allow blends of more than 10% for mainstream use.